For more information (time, location, etc.) click the links (movie title) below. 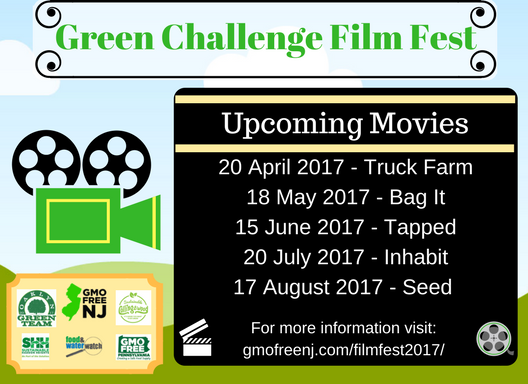 Each movie will be paired with a green challenge for people to participate in. Both Sustainable Collingswood and Oaklyn Green Team will be implementing the challenge portion for the task of earning points with the Sustainable Jersey program. Please check back after each movie to find the action associated with the movie. There will be an informational sheet on each action available for download. Love to come to May’s movie. Where & what time will it be shown? !